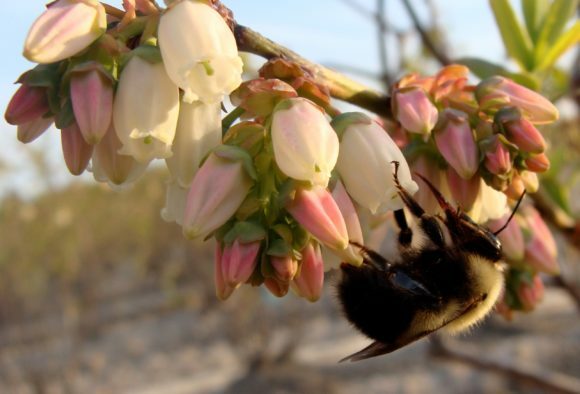 Share the post "Winfree and her Team Reveal the Importance of Pollinator Biodiversity"
NSF-funded researcher and professor Rachael Winfree and her team in the Department of Ecology, Evolution and Natural Resources revealed just how important pollinator biodiversity is for crops in a recent study conducted across dozens of watermelon, cranberry and blueberry farms in the mid-Atlantic United States. Though many farmers use domesticated, non-native honey bee colonies to help with crop pollination, researchers estimate that wild pollinators provide half of the crop pollination services worldwide. Read more about the importance of pollinator biodiversity at this National Science Foundation article.